Michigan’s minimum wage rose to $9.45 per hour last week, the same day a new law requiring some employers to offer paid sick leave took effect. The Legislature passed both laws late last year during lame-duck session, though questions about whether lawmakers followed the Michigan constitution in doing so have swirled ever since. 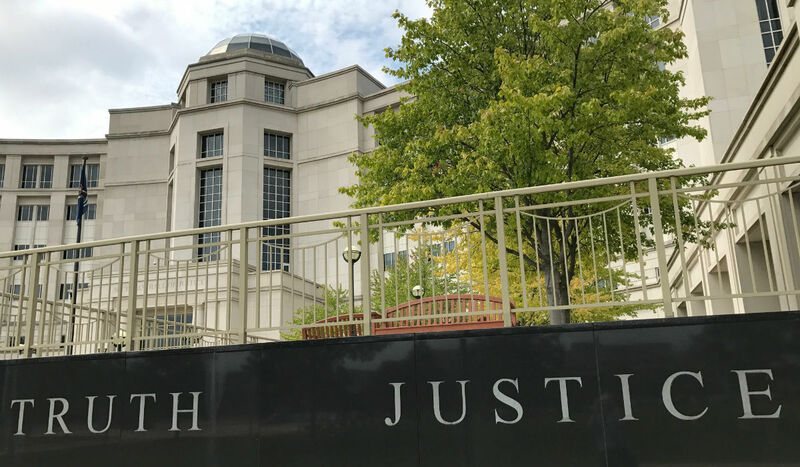 The Michigan Supreme Court on Wednesday said it will consider the Legislature’s request for an advisory opinion on whether new laws to raise the state’s minimum wage and require paid sick leave are legal. The court did not commit to issuing an opinion, leaving open the question for now. During the lame-duck session in December, the Legislature approved watered-down versions of the two worker-friendly proposals that voters were going to consider in November. By first adopting those proposals in September, lawmakers took them off the ballot before approving more business-friendly versions late last year. The state’s high court said it will hear oral arguments on July 17. Whether the court weighs in will be decided after arguments are heard and legal briefs are submitted in the case, the court said Wednesday. Michigan’s minimum wage rose to $9.45 per hour last week, the same day a new law requiring some employers to offer paid sick leave took effect. The Legislature passed both laws late last year during the lame-duck session, though questions about whether lawmakers followed the Michigan constitution in doing so have swirled since. At issue is whether the Legislature is allowed to adopt and later change citizen initiatives in the same two-year legislative term. Two ballot committees, Michigan One Fair Wage and MI Time to Care, last summer earned enough signatures from registered Michigan voters to get their proposals to raise the state’s minimum wage to $12 an hour by 2022 and require employers to offer 72 hours of paid sick leave, respectively, onto the November 2018 ballot. Michigan’s constitution, however, allows the Legislature to adopt citizen-initiated laws before they go to voters. The Republican majority in the House and Senate, which opposed the ballot language, voted along mostly party lines to adopt the proposals in September with the goal of revising them later last year. In a contentious lame-duck vote, they weakened the strongest provisions. Then-Republican Gov. Rick Snyder, who signed the bills, said he believed the laws as the ballot committees wrote them would have been a roadblock to Michigan’s ongoing economic recovery. Under the Legislature’s revisions, Michigan’s minimum wage won’t reach $12 (now $12.05) until 2030, eight years later than originally scheduled. And employers will be required to offer 40 hours of sick leave, instead of 72, though businesses with fewer than 50 employees will be exempt from the sick leave law. The Legislature also kept a lower minimum wage for employees who receive tips as part of their job, such as restaurant servers. One Fair Wage’s proposal would have gradually increased the lower, tipped wage until all minimum-wage workers earned the same hourly rate. Republican legislators have said they are confident their lame-duck changes are on solid legal ground, and in February asked the Michigan Supreme Court to issue an advisory opinion to resolve any remaining questions. Business groups, who support the Legislature’s changes, say the laws as originally written would have been onerous. Backers of the ballot initiatives and Democratic lawmakers, meanwhile, say the Legislature’s revisions went against the will of hundreds of thousands of Michigan voters who wanted the chance to vote on the stronger minimum wage and sick leave proposals as written. The two ballot committee said in statements Wednesday that they don’t believe the state constitution gives the Legislature the authority to change citizen-written laws during the same term and hope the Supreme Court agrees. “We are hopeful the Michigan Supreme Court will stand with Michigan workers and the more than 400,000 Michigan voters who signed the One Fair Wage petition and approved raising the minimum wage to $12 for all Michigan workers,” Alicia Renee Farris, state director of the Restaurant Opportunities Center of Michigan and chair of the Michigan One Fair Wage steering committee, said in a statement. Representatives for Senate Majority Leader Mike Shirkey, R-Clarklake, and House Speaker Lee Chatfield, R-Levering, could not immediately be reached for comment. A rarely used provision of the Michigan constitution allows the legislature and governor to ask the state’s high court for an opinion on whether a law that has been enacted is constitutional, before it takes effect. The Supreme Court can choose not to issue such an opinion. More requests for Supreme Court advisory opinions were rejected than granted in at least the last decade, according to the court. The last time the court granted such a request was in 2011, in response to Snyder’s question about the constitutionality of a new tax on some retirement income. Past Supreme Court opinions have noted that advisory opinions don’t set precedent the same way as an opinion issued through the traditional litigation process. Since this request didn’t start from a lawsuit, it’s still possible the minimum wage and paid sick leave laws could wind up challenged in court, particularly if the Supreme Court decides not to grant the advisory opinion request. Attorney General Dana Nessel, a Democrat, also has been asked for an opinion on the ability of the Legislature to change citizen-backed laws during the same legislative term in which they’re adopted. Nessel’s office said last week she will wait for the Supreme Court to decide on its opinion request before making her own decision. The committee behind the paid sick leave drive, MI Time to Care, has said it may try again for the November 2020 ballot. Bad blood still remains after the GOP-controlled Legislature adopted citizen initiatives only to gut them later. Now, they want the Supreme Court to rule on whether lawmakers have that power. ....and you wonder why people feel they have no voice in government. Catching and modifying the results of a ballot initiative, exactly like the lame ducks did here, goes against the stated will of the people. ‘Business friendly’ actions like that just show how many of our state senators and reps are bought and paid for. It is Not Okay. Trying to understand this, exactly why should it be up to the voters what employees are allowed to accept as pay from their employers? Maybe we should vote on what cable TV companies are allowed to charge? Or the price of milk?